Start making the most of your snaps. Hoping to make visual content, but are always overwhelmed by the complex editing tools on software? 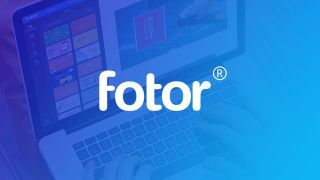 Allow us to introduce you to Fotor Design & Image Editor Online Pro, a user-friendly, all-in-one visual content solution that lets you make all the necessary tweaks, adjustments and improvements on photos, collages and graphic designs. Though a lifetime subscription to this service would typically run you $539.40, it's currently available at on mega sale for 88% off at just $59.99. These days, we're all amateur photographers standing behind our smartphones. Why not make the most of your snaps? Fotor Design & Image Editor Online Pro lets you easily edit your photos with simple tools to do the basics like cropping, resizing and retouching. Have more in store for your photos? There are also the tools to take your pictures to the next level, like wrinkle and blemish removed, HDR tech and tools for shadows, transparency, coors and more — helping your photos look more professional. You can also create your own photo collages quickly and easily with the built-in creator, and work with the fun templates and customisable fonts and stickers that come with Fotor. Ready to get started? Snag your lifetime subscription to Fotor Design & Image Editor Online Pro here for just $59.99.